With access to so many attractions and adventures, Pigeon Forge has become a favorite destination for groups of all ages and sizes. 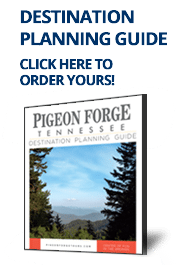 With all there is to see and do in our town, it’s no wonder Pigeon Forge remains one of the American Bus Association’s top Tour and Travel destinations and was named the Byways magazine’s Top Motorcoach Destination for 2017. Fill your days in Pigeon Forge with music and attractions nestled in the beautiful Smoky Mountains. Faith travel groups can enjoy wholesome fun and entertainment! If your group loves entertainment and festivals this is the schedule the perfect schedule. The three-and-one-half month celebration of lights, special events and holiday delights is ideal for any group. This schedule allows for lifetime bonds with family and friends to be strengthened through Pigeon Forge’s fun filled activities.